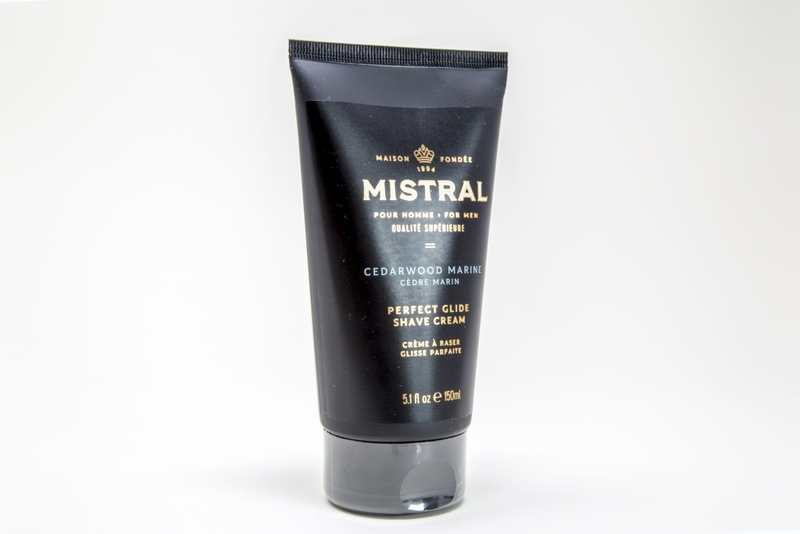 Alcohol-free and non-foaming, Mistral’s Cedarwood Marine Perfect Glide Shave Cream is a contemporary crafted solution to enhance the modern man’s shaving experience. 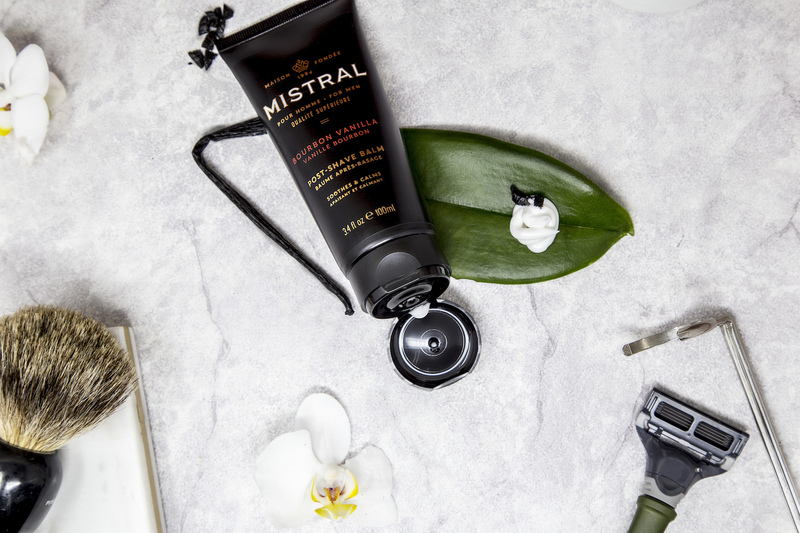 The solution enables him to have a smooth and refreshing start to his day. 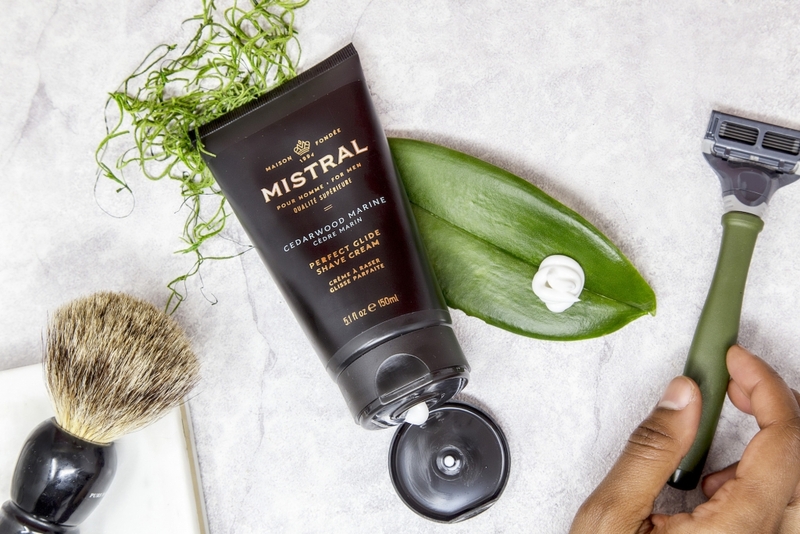 Pairs well with Urban Spa Soap Sleeve, Mistral Post-Shave Balm, Bourbon Vanilla Soap, or Bourbon Vanilla Body Wash.
Hydration is key for a man with healthy skin, and post-shave his skin needs a healthy alternative to repair and rejuvenate. 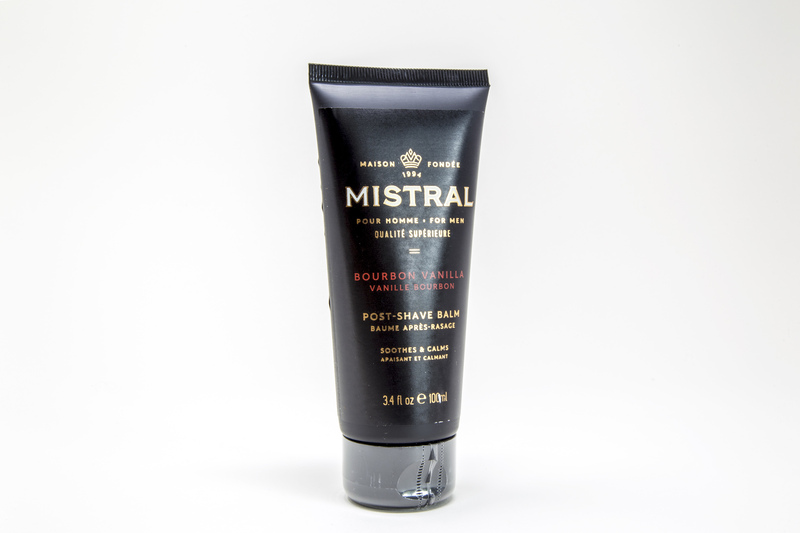 Mistral’s Bourbon Vanilla Post-Shave Balm is the perfect partner to Mistral’s Cedarwood Marine Shave Cream. 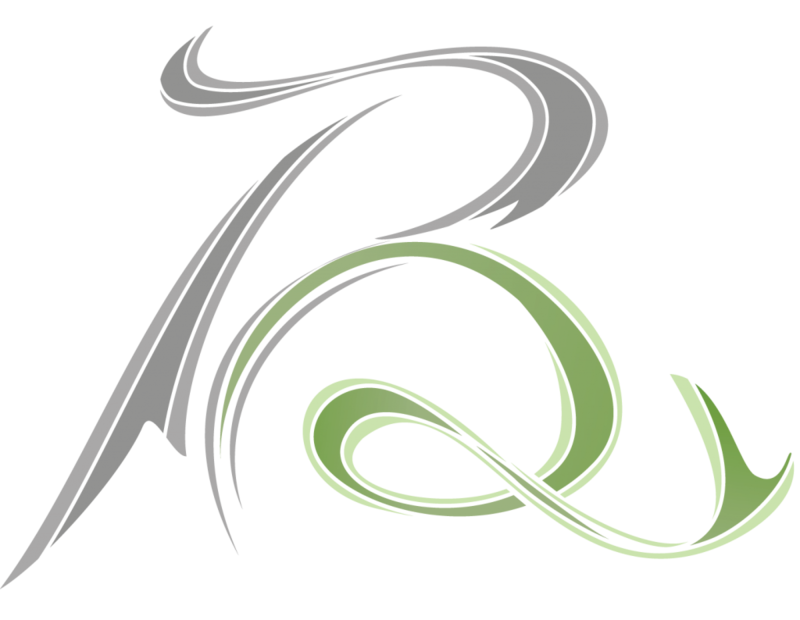 It is suitable for all skin types and is PH balanced while being alcohol-free. 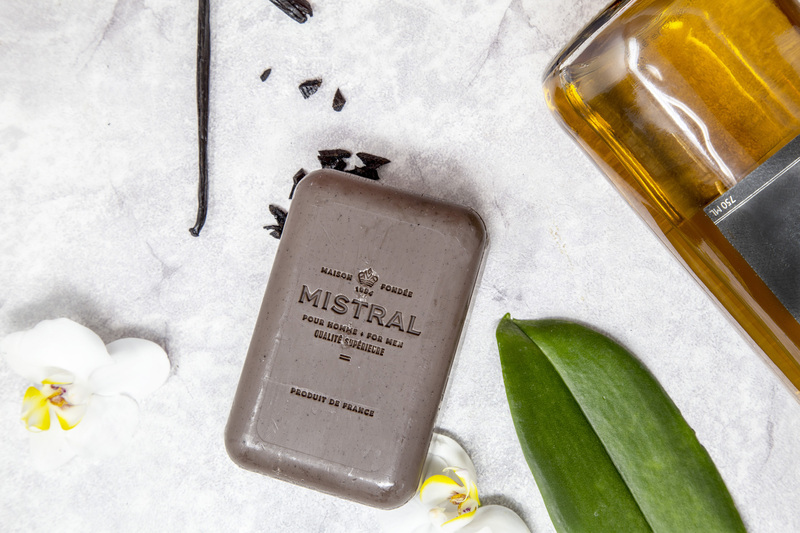 Pairs well with Urban Spa Soap Sleeve, Mistral Shave Cream, Bourbon Vanilla Soap, or Bourbon Vanilla Body Wash.
Don’t let inferior soaps stand in the way of your dream soap. 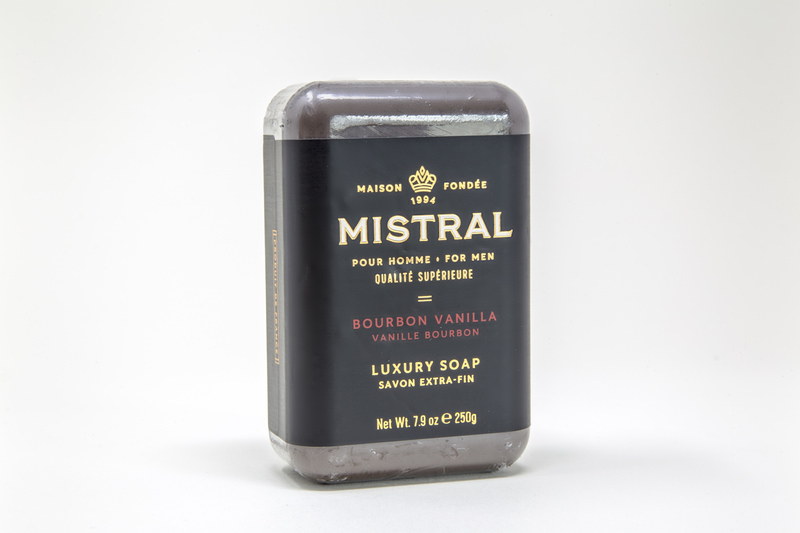 Mistral’s Bourbon Vanilla Luxury Soap raises the bar—literally. 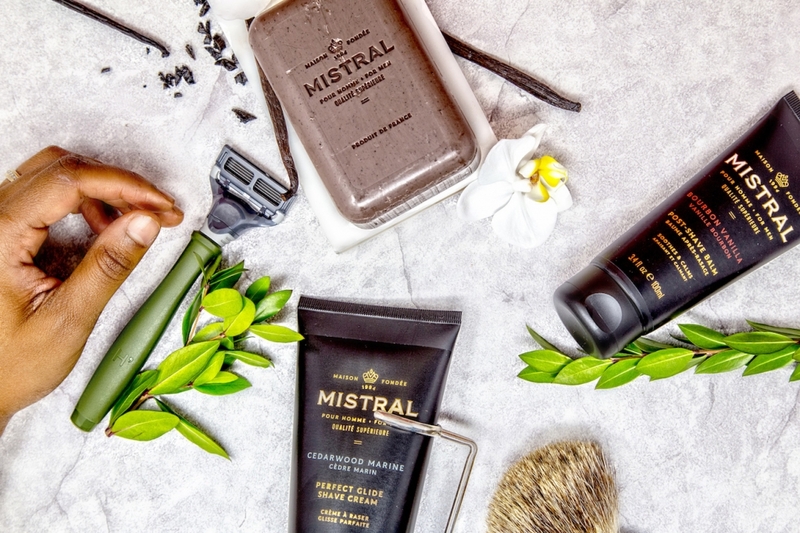 With a scent that will attract the masses, he will definitely stand out in a crowd. 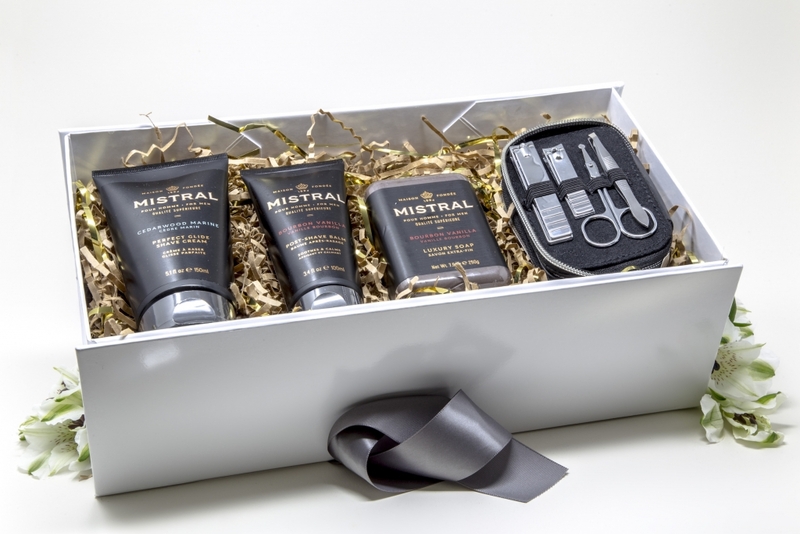 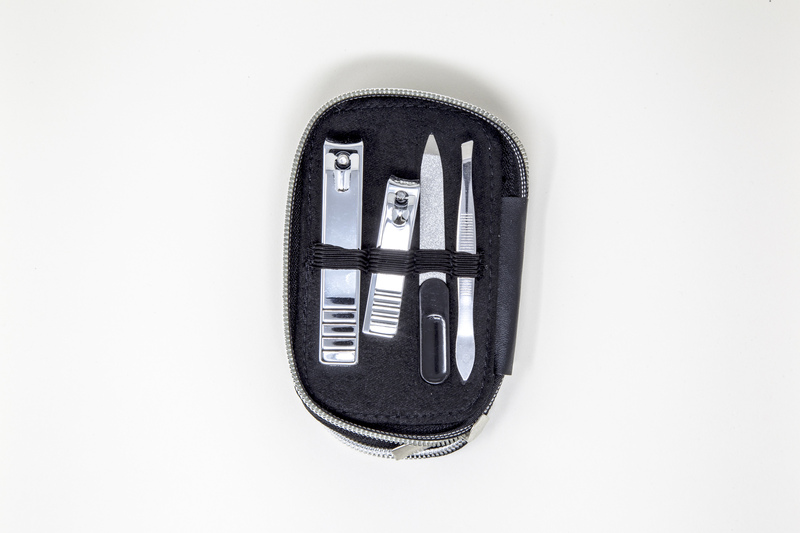 Pairs well with Urban Spa Soap Sleeve, Mistral Shave Cream, and Post-Shave Balm.